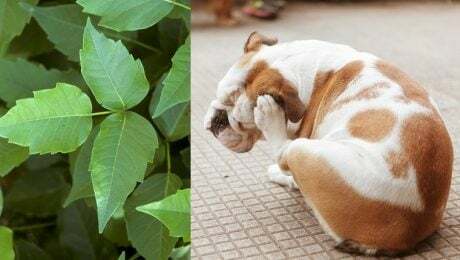 The good news is that poison ivy doesn't affect dogs as often as humans. Their fur coats reduce the chances that their skin will be exposed. Still, there is a chance that a red, itchy rash will appear, and dogs who eat the plant may suffer some gastrointestinal upset.